1. A pizza-shaped power bank, because if you're gonna Google where to get the best local slice at 2am, you need some battery power left. Get it from Amazon for $15.99 (also available in poop and unicorn shapes). 2. A unique shot glass to layer the alcohol and the chaser ~in one container~, so there's no more bad taste after taking the shot. 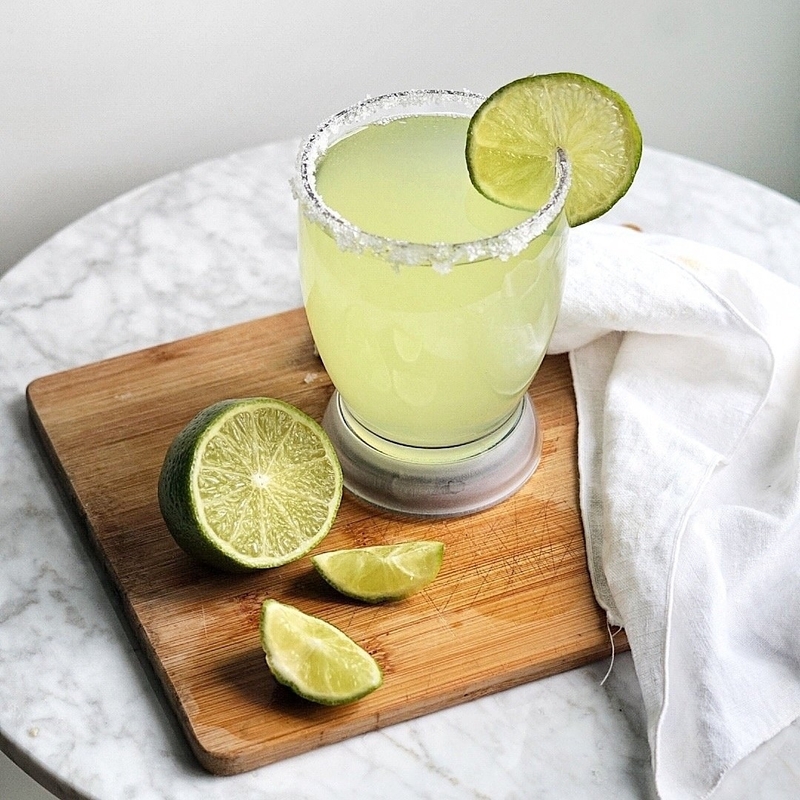 It even comes with a recipe card for more ~creative~ shots. Get individual ones from Amazon for $7.99 each (also available in sets of four, six, and twelve). Get it from Amazon for $5.80. 4. A set of toaster-friendly bags perfect for whipping up an ooey gooey grilled cheese when you can't really manage the whole stove thing. Plus they're dishwasher safe, so you don't need to do any washing up by hand! Get a set of three from Amazon for $13.06. 5. An Ostrich mini arm pillow for anyone who truly believes anywhere is suitable for a nap. Yes, right there. Right there is fine; you're only going to close your eyes for a sec. Get it from Amazon for $35 (available in three colors). 6. A microfiber makeup-removing cloth designed to remove every trace of foundation, (waterproof!) mascara, and lipstick with just water. Because taking off your makeup on a regular night is hard enough. Get a two-pack from Amazon for $11.97 (available in three colors). 7. A jar of Cadbury milk chocolate spread, because honestly even Nutella is too healthy for your late night snack. Hazelnuts who?? 8. A pair of rocks glasses you can pick up with ease, but they're very difficult to knock over, so you won't lose the rest of your Old Fashioned, no matter how "clumsy" you are. The gripping technology on the bottom of the glasses lifts off when you pick them up, but grips tight when knocked from the side. Plus, they're made of unbreakable plastic that looks like glass. Get a set of two from Amazon for $17.99. 9. A deck of cards that'll turn ANY game into a drinking game — perfect for those occasions when you start to...forget...the rules of that one you used to play all the time. 10. A quesadilla maker for anyone who has gotten banned from the Taco Bell drive through for belligerence. Just pop a tortilla in, pile with your ingredients, add another tortilla, and hot cheesy goodness will be ready in five. Get it from Amazon for $15.33. 11. A book of crosswords best solved while inebriated, including cocktail pun closes, themes inspired by drinking games, and entire puzzles printed on a ~slant~ so you can even read them better. Get it from Amazon for $7.95, Barnes and Noble for $7.95, or a local bookseller through IndieBound. 12. An easy-to-grab silicone microwave caddy with stay-cool handles to keep your fingers safe from being burned by a scalding plate of midnight Totino's pizza rolls. Get it from Amazon $11.95. 13. A suction cup SipCaddy that will help you A) get drunk in the shower or B) partake of some hair of the dog while crying in there the morning after. Why do hangovers always feel so much worse in the shower? Get it from Amazon for $13.95 (available in six colors). 14. A guide to the best pizza anywhere in the world, so whether you're ubriaco, pijan, or 취한, you can locate a proper slice. Those are the words for "drunk" in Italian, Croatian, and Korean, in case you were wondering. Get it from Amazon for $17.95, Barnes and Noble for $26.96, or a local bookseller through IndieBound. 15. A scaled-down beer pong set with a catapulting ball that's tethered to the table so things can't get TOO sloppy. Less time crawling around looking for the ball...more time playing. Get it from Amazon for $32.30. 16. Or a mini flip cup game you can bring to any party (and home) with ease. 17. 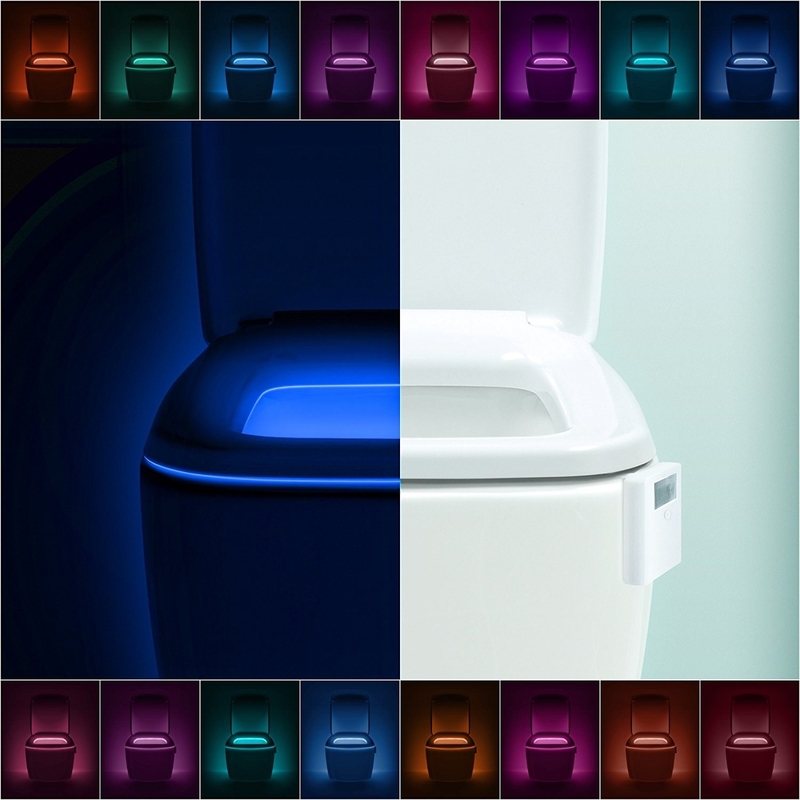 A motion-detecting toilet light that'll glow any of 16 colors — so you don't miss the bowl no matter what. 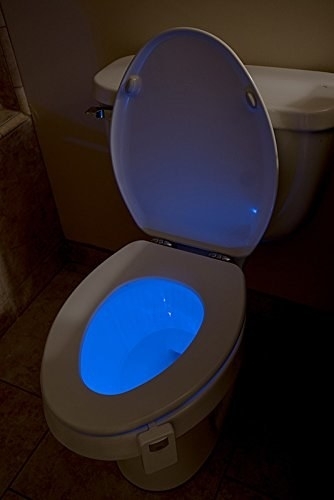 No tripping, no peeing in the wrong place — it'll even light up the room while you're holding your friend's hair back. With a 4.8/5-star rating and over 2,600 reviews, you know you can trust it. 18. A wine goblet that'll screw right into any bottle of your favorite blend — carrying the whole thing with you = no one steals the rest of it while you're on glass #1. It's made with sturdy borosilicate glass for extra safety. Plus, the product photos show people using this for beer floats, which WOW WHAT AN IDEA! Just scoop in some vanilla ice cream, and then screw the glass into your favorite brew. 19. A water bottle shaped like a flask, in case schnockered you needs to be lit'rally TRICKED into staying hydrated after a night out. Fun fact: it's made with recycled bottles! 20. A coloring book that'll make your post–happy hour hours far happier, with over 120 pages of coloring and activities, including pages to design your own regrettable tattoo, wine bingo, and even a set of DIY beer goggles. Get it from Amazon for $17.99, Barnes and Noble for $11.69, or a local bookseller through IndieBound. 21. A copy of Munchies, a book filled with boozy stories from 70 chefs, plus 65 recipes they make to satisfy those late-night cravings. Get it from Amazon for $19.15, Barnes & Noble for $27, or a local bookseller through IndieBound. 22. A Go Girl urination device that'll let anyone without a peen pee standing up. Perfect for when that toilet is so filthy you're just gonna have to do it standing up. Or when the line is so long, it's honestly time to find a bush. And you've already broken the seal so... it's time to go. Get it from Amazon for $9.47 (available in two colors). 23. BuzzFeed's Social Sabotage, a board game designed to make your social networks awkward AF — because you're probably going to do that on your own anyway. Challenge each other by combining a dare card (write "Grandpa really fills out those khakis") with a place card (on Facebook!). If the player doesn the challenge, they get the card, and the player with the most cards at the end wins! Get it from Jet for $24.97. PSST!...BuzzFeed makes money when you buy this. 24. A silicone mold that'll make ice, Jello, or any other edible shot glasses, meaning you won't have a giant sink full of glassware to wash in the morning after a pregame. A shot INSIDE a Jello shot?! I'm listening. Get a mold (which makes eight shot glasses) from Amazon for $8.41. 25. A collapsible pocket flask for anyone likely to leave things behind after a few pints. Just drink, fold, and stow before you even get the chance to forget it. Promising review: "Five stars!! These flasks worked great and are very durable. I would not hesitate to order these again if I need more. 26. And a handy notebook you can keep on your bedside table and fill with drunken notes to your sober self.